There are major risks the Department of Energy and Climate Change must address to achieve value for money from its £11.3 billion national programme to install ‘smart’ electricity and gas meters in all homes and smaller non-domestic premises in Great Britain from 2014 to 2019. "The benefits of proceeding with this major technological and logistical undertaking are still uncertain. There is limited evidence of how much and for how long British consumers’ behaviour might change, and costs could escalate. "Large-scale projects of this kind can take on a momentum of their own and so, along the way, there should be clear decision points at which the Department will need to review costs to consumers, benefits and risks and judge whether to carry on as originally planned or significantly change direction." 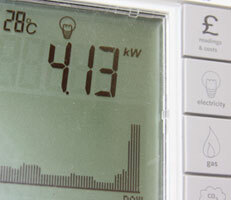 There are major risks the Department of Energy and Climate Change must address to achieve value for money from its £11.3 billion national programme to install ‘smart’ electricity and gas meters in all homes and smaller non-domestic premises in Great Britain from 2014 to 2019, according to a report by the National Audit Office. Smart meters provide consumers with detailed information on their energy use and can enable energy suppliers to provide a wider range of off-peak tariffs as well as allowing suppliers to collect meter readings remotely. The Department expects them to be an important step towards ‘smart grids’, which may help to manage demand across the electricity system. The NAO’s early assessment of the programme concludes that the Department has made progress in developing its approach in the early phase, which cost £11.2 million. However, in this phase, it did not demonstrate full value for money, because its early planning and budgeting were insufficient to support clear monitoring and accountability. The Department is strengthening programme management. The cost of installing smart meters in every home and smaller non-domestic premise and the associated communications technology will be borne by energy suppliers. The Department expects suppliers to pass the costs and efficiency savings on to their customers. The estimate by the Department of the total cost of the programme – currently £11.3 billion – includes some provision for cost escalation. But uncertainties remain, and the Department still has to develop a specification for the central data and communications system. The Department estimates the economic benefits at £18.6 billion between 2011 and 2030 (achieving a discounted net benefit of £7.3 billion). However, today’s report identifies uncertainty, based on the evidence available so far, about the extent to which smart meters will result in changed energy use by consumers over a sustained period. The Department has still to develop its benefits realisation plans and consumer engagement strategy. Other risks that the NAO has highlighted are that there is very little contingency time to address the risk that design approvals, procurement and testing take longer than planned; that the system will have to be flexible enough to minimize the risk of future obsolescence; and that the Department has more work to do before roll-out starts on the security of the system.